The GE Power & Water Greenville Advanced Manufacturing Works facility will be operational in 2015. GREENVILLE, S.C. -- General Electric (NYSE: GE) has broken ground on a new Power & Water advanced manufacturing facility in Greenville. GE plans to invest $400 million over the next 10 years to expand the company's advanced manufacturing capabilities and create more than 80 jobs. The GE Power & Water Greenville Advanced Manufacturing Works facility will be operational in 2015. 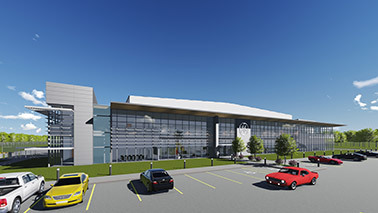 This will be GE Power & Water's first advanced manufacturing facility. The facility will serve as an incubator for innovative advanced manufacturing process development and rapid prototyping for the Power & Water businesses, including wind turbines, heavy-duty gas engines, distributed power gas engines, nuclear power services and water processing. 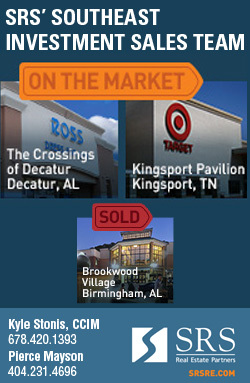 The expansion, expected to deliver in spring 2015, will bring Saddle Creek to a total of 168,000 square feet. 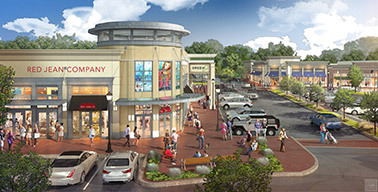 GERMANTOWN, TENN. -- Trademark Property Co. has begun the overhaul and expansion of Saddle Creek, its lifestyle center located in the affluent Memphis suburb of Germantown. General contractor Linkous has begun the demolition of 20,000 square feet of space on the southwest side of Poplar Avenue and West Street. 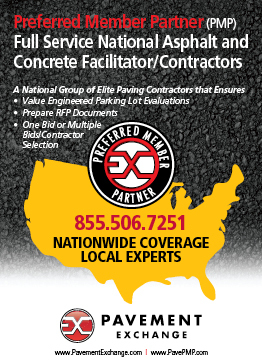 Construction will begin soon on 40,000 square feet of new retail space. The expansion, expected to deliver in spring 2015, will bring Saddle Creek to a total of 168,000 square feet. 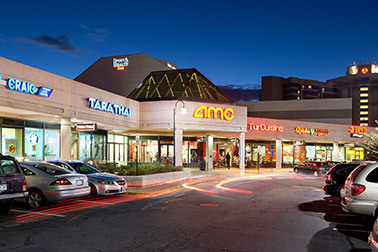 Trademark will also upgrade Saddle Creek's lighting, signage, plazas and landscaping. Saddle Creek's tenant roster includes Anthropologie, Apple, Banana Republic, Brooks Brothers, Chico's, Coach, Free People, J. Crew, kate spade new york and Madewell. Trademark has managed and leased the property since 2011. Andros Isles in Daytona Beach features a resort-style swimming pool with a patio bar and a poolside grill. 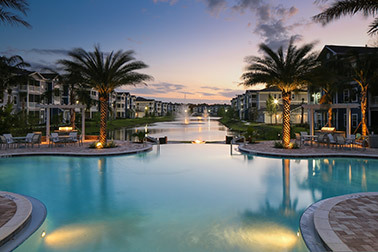 DAYTONA BEACH, FLA. -- Landmark Apartment Trust, a publicly registered multifamily real estate investment trust, has purchased Andros Isles, a 360-unit, newly constructed apartment community at 100 Acklins Circle in Daytona Beach. 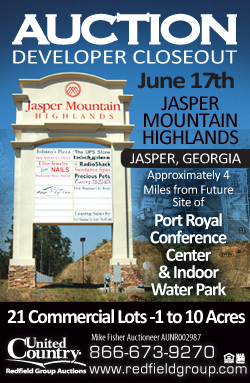 The property was 95 percent occupied at the time of the sale. Delivered in August 2012, the gated community is comprised of one-, two- and three-bedroom apartments. The island-inspired property features private patios and balconies, gourmet kitchens, walk-in closets, in-home washers and dryers and iPod docking stations with surround sound. The community's amenity package includes a resort-style swimming pool with a patio bar, poolside grills and a clubhouse with a fitness center, business center and game room. Worldgate Centre's tenants include Worldgate Sport & Health, AMC Theatre, Starbucks Coffee, TGI Friday's, Subway, Qdoba Mexican Grill, Cold Stone Creamery and FedEx Kinko's. HERNDON, VA. -- Rappaport has closed on a $65 million first mortgage loan to refinance Worldgate Centre, its 230,000-square-foot retail center located at the intersection of Dulles Toll Road and Elden Street in Herndon. 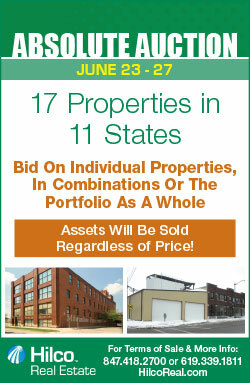 Rappaport purchased the asset in 2000. Worldgate Sport & Health anchors the property, and other tenants include a nine-screen AMC Theatre, Starbucks Coffee, TGI Friday's, Subway, Qdoba Mexican Grill, Cold Stone Creamery and FedEx Kinko's. 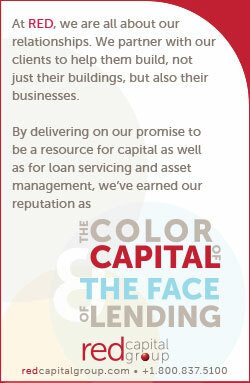 The Ackman-Ziff Real Estate Group arranged the 10-year non-recourse loan through a CMBS lender on behalf of Rappaport. 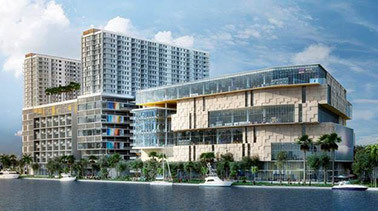 Upon completion, River Landing in Miami will feature 428,542 square feet of retail space and 508 multifamily units. MIAMI -- Cohen Financial has secured a $38.2 million bridge loan for the acquisition of land and pre-development of River Landing, a mixed-use development in Miami. 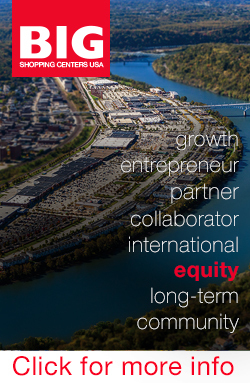 Upon completion, River Landing will feature 428,542 square feet of retail space and 508 multifamily units. 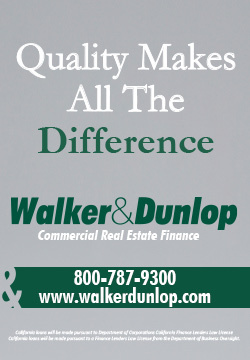 Kevin O'Grady, Daniel Sheehan, Gregory Newman and Eric McGlynn of Cohen Financial secured the loan with North Star Realty Finance Corp. on behalf of the borrower, River Landing Development LLC. Upon completion in fall 2015, Aloft Raleigh will feature a fitness center, swimming pool, outdoor deck and WXYZ Bar. RALEIGH, N.C. -- HFF has secured a $16.6 million construction loan for the development of Aloft Raleigh, a 135-room hotel at 2100 Hillsborough St. near North Carolina State University in Raleigh. Upon completion in fall 2015, the hotel will feature a fitness center, swimming pool, outdoor deck and WXYZ Bar, in addition to the brand's Re:Mix lounge, Re:Fuel dining area and In-Touch business center. Mark Remington of HFF arranged the five-year construction loan through First Tennessee Bank on behalf of the borrower, a partnership between The Bernstein Cos., TME Investments and Michael Sandman. 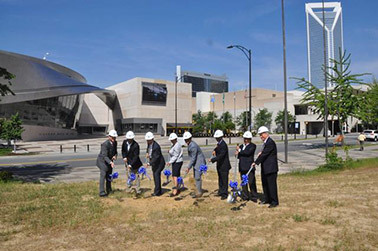 Key stakeholders and local officials gathered to mark the official groundbreaking of Embassy Suites Charlotte Uptown. CHARLOTTE, N.C. -- Embassy Suites Hotels and developer BPR Properties have begun construction on Embassy Suites Charlotte Uptown, a 250-suite hotel at 401 E. Martin Luther King Jr. Blvd. 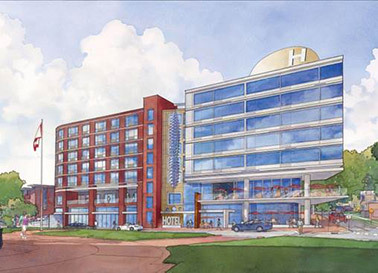 The hotel, which will feature 7,000 square feet of meeting space and an on-site restaurant, is slated to open in June 2016. The hotel will be the ninth Embassy Suites in North Carolina, and it will feature a 24-hour fitness center, business center and an indoor pool. Bull Realty's office expansion and renovation includes a new game room, coffee shop, meeting room, lounge and executive boardroom. ATLANTA -- Bull Realty has completed the second expansion in less than two years of its office space at 50 Glenlake Parkway in Atlanta's Central Perimeter submarket. The Atlanta-based real estate services firm now occupies 15,075 square feet, increasing its footprint by roughly 3,000 square feet. 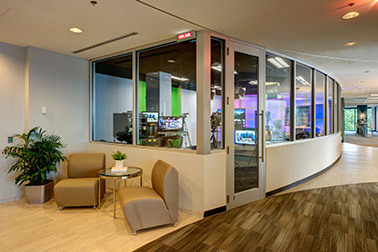 The office features a large open coffee shop area looking in on the company's Studio One, a radio/video studio where the nationally syndicated "Commercial Real Estate Show" is produced. The space now has a new game room with a pool table, ping pong, dartboard, Bluetooth sound system and flat-screen TVs. The space also has a new high-tech meeting room, a lounge with a large video screen and an executive boardroom. Facilitec designed the space and consulted on the office's furniture. Bull Realty's cubicles were also replaced with modern pods. 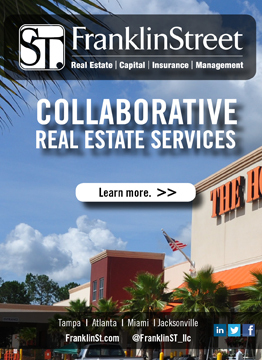 Bull Realty's current specialties include office, retail, industrial, multifamily, healthcare, land, seniosr housing, student housing, automotive properties, self storage, daycare and single-tenant net lease properties. The U.S. labor market has been remarkably consistent in its unremarkable performance, observes Robert Bach, director of research for the Americas with Newmark Grubb Knight Frank, following last Friday's announcement by the Bureau of Labor Statistics (BLS) that total nonfarm payroll employment rose by 217,000 in May. "Growth has been strong enough to chip away at the slack in the supply of labor, but not strong enough to reverse the cautious psychology that persists among households and some businesses," wrote Bach in a June 6 research note titled "Back in the Black." With the 217,000 net new payroll jobs created in May, the U.S. labor market finally recovered all of the 8.7 million jobs lost to the Great Recession. The national unemployment rate remained unchanged at 6.3 percent, the lowest level since September 2008. "A welcome milestone, it is also a sobering reminder that the labor force has grown by 1.7 million workers since the recession began with virtually no new jobs created for them to fill, which has kept the unemployment rate above the long-term equilibrium rate of 5.5 percent," said Bach. "These totals do not count millions more who have dropped out of the labor force because they can't find work." 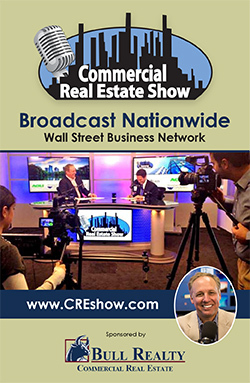 The good news for commercial real estate, according to Bach, is that the leasing markets continue to recover and rents are rising, albeit at a slow pace. 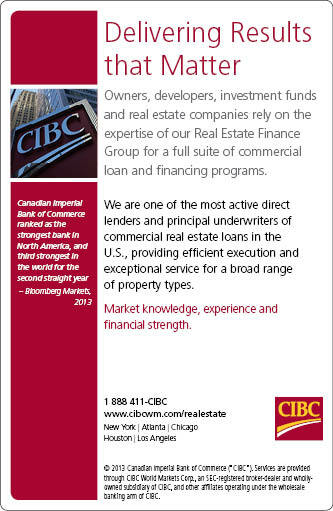 Meanwhile, the low interest rates are expected to continue to fuel investment activity. 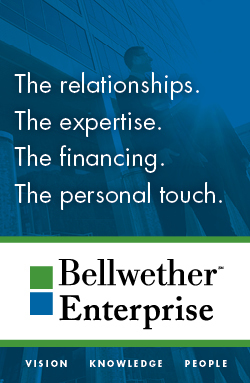 May marked the fourth consecutive month that employers added more than 200,000 jobs. The BLS also revised total jobs gains in April from 288,000 to 282,000, 6,000 lower than originally reported. The March total was unchanged at 203,000.